Till date we have known that losing weight to be in perfect shape has been the thought on TOP PRIORITY for all. However; the frequent economic meltdowns have pushed it second priority; bringing MONEY SAVING TIPS for college students on top priority; on the list of individuals in the age group of 18-25 years - surveyed in 2013. Calculating monthly income and expenses while eating right and staying tight are way straight forward and easier as compared to saving money for paying off debts accrued as Financial aid as some of the best student loans including; unsubsidized direct Stafford loans, subsidized direct Stafford loans, Perkins loans through free application for federal student aid also known as FAFSA, institutional grants, student loan benefits, continuing education student loans or any other lending– believes today's student fraternity. Waiting for SALES and DISCOUNTS to be announced at stores is the best retirement plan what students think who are getting crushed under the debt incurred for furthering their education. However; students are now a bit inclined towards making long term plans by saving money for college and calculating the cost of education in order to achieve retirement as a financial reality through a budget planner. Budgeting in college is the new mantra of today’s generation. Student loans are getting increasingly popular due to the skyrocketing cost of attending colleges and universities. Students left with no other funding option often take it up as the last hope. The real pressure starts with the repayment aspect. With help of these funds students do further their education, however; in this economic saturation; where jobs are not that easy to find – MONEY SAVING happens to be the only savior to avoid negative financial situations in this early age. Home cooked food: You are young and might get a feeling very soon that oh…I am not eating the same food every noon….and what you do is go out with your friends to have lunch at a nearby restaurant. In the evening for dinners the same story gets repeated days in and out. This is mere waste of money and it is an eye opener that you can save such money when you come to know that expenses at eateries have increased by 26% in last five years. Cooking at home is the best alternative; which gives you healthy and hygienic food at a low cost – while you save a lot out of it. Spending a few extra hours on Sundays to cook for the coming week is also a good idea. Spaghetti sauce is a good example; which you can prepare on a Sunday and it will serve you as multiple meals the entire coming week. Smartphone with Smart plans: Maximum income of mobile companies is through the data and text message plans which exhaust you of your budgets much faster than expected and more than your connects on Facebook. Meeting up or taking up a consensus from family and friends about what is it that they all can team up with you on and then while signing the next contract with the mobile company ensure you stick to your cut back. Recent developments and marketing strategies of mobile companies might allow you to create a family and friends plan for yourself. Cut down Cable expenses: Price hike due to increased overheads…it has become a routine story for the cable/satellite service provider. 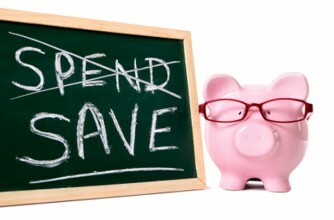 One can save money by opting for free – sports, movies, television shows, streaming videos and what not. Free coupons: Entire America now knows that you can slash down your grocery bills by considerable amount with the help of free coupons. Though the amount seems to be petty and not easily realized by many…but such small money savers are to be utilized for anything and everything possible. Mobile coupons are the easier way out. Your smart phones with specific apps might allow you to access such coupon discounts on the spot at the grocery stores. Your smart phones with the help of such apps also might help you to find convenient stores for grocery shopping with the help of your ZIP code; download coupons to your loyalty card and get it deducted at the time of checkout. Public Libraries at your aid: Libraries nowadays are well equipped with free internet access DVDs, CDs, video games, e-books. One can place a booking in advance for the item needed. Such libraries also provide you with discounts, free passes and coupons for Zoos, museums, fun fairs and many more attractions. Gift – part of daily Deals: Gifts or something free with the daily items has now become a routine of life. They are available around you starting from social media to your local news papers. They happen to be a great way to save and are great fun too. Deals are so cheap that it must be a pain to the providers to provide such deals…but still they do. Expiry dates, add on charges, hidden costs and Terms and conditions are supposed to be read thoroughly. Barter or Swap: Nowadays things become boring too fast. Everyone is looking out for newness in some or the other form. So instead of buying new ones or throwing them away…try to barter them or swap them with others….may it be your books, video games, clothe or anything. There are a lot of options you may find which would cater your requirement. Automation: Cooling and heating happen to be the two basic necessities. However; you would be surprised to know that 42% of energy consumption is contributed by them. Here also some of the heating or cooling is been ducted to empty rooms and walkways in the house. Automated thermostat proves to be of great help is such cases – saving your bills up to 30%. Arrange the thermostat 1 degree plus and minus during winters and warmer weathers to cut an addition two to five percent of your energy bills. Saving out of sight: One should make arrangements to transfer some of your funds as savings directly in to some other account (in this case for working students). It is a proven fact that OUT of SIGHT is OUT of MIND…hence the less you see the less you spend and less you spend the more you save. Cash is King: It has always been a easy task to swipe you through the doors of luxuries and then to the poor houses as well. Stop using all those credit and debit cards...instead fix up an amount to be used every week and be head strong to not to exceed than that in any case; unless an emergency. This might invite a situation where you will need to visit your bank frequently for which you will have to have an account in near vicinity. If you understand your debt load; you can even rent or buy used textbooks and switch over to affordable college housing options. You may find people with a mind state to never pay full price for anything and everything and utilizing all possible money saving strategies. If required they can also share some money management tips along with a few student budgeting example which can help you all to stay away from the top five money mistakes college students make. It has been observed that it is a realistic approach; as saving money doing all these becomes a necessity in this cramping economy. Mere two – five – ten percent off on services or products you select is worth unless you do not end up spending time and money looking out for such options. Advantages of student discounts are surely tickling; but what would really make you feel happy are things which are for free. Also last but not the last to remember is that all the things you long for search for and reach for are not for free….There are certain things which should not be tried to get for free. In dormitories and schools, kids reaching out for free shampoo – soaps – tissue rolls and much more are surely attractive but are not worth taking for free. It is so because when you load up yourself with this free stuff…you are depriving someone who is really in need of it at free of cost and is not in a money saving mode; like you are. Free stuff is great…but ethically achieved free stuff will make you feel greater.